BBC presenter Dianne Oxberry has died at the age of 51 weeks after being diagnosed with cancer causing colleagues to break down on air as her death was revealed today. The married mother-of-two, who found fame as a sidekick for Steve Wright and Simon Mayo on Radio 1, retrained as a meteorologist and joined BBC North West in 1994 becoming a TV fixture for 24 years. The broadcaster was working until mid-December but died at the Christie Hospital in Manchester on Thursday morning following her ‘short illness’. 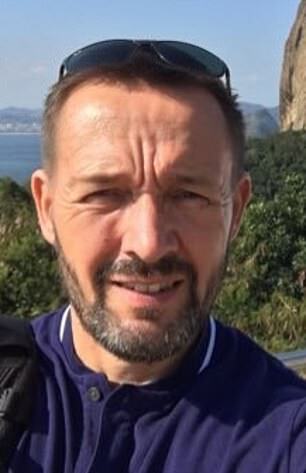 Fellow weather presenter Simon King choked back tears on BBC Radio 5 Live this morning and said: ‘It’s devastating, absolutely devastating. It has been such a quick process, this whole thing. It has hit us like a ton of bricks’. Dianne was also famously adored by comedian Peter Kay, who once crawled on his hands and knees to get close to her as she gave a forecast on live TV. Hugging her he then declared: ‘God love Dianne Oxberry. You made it sunshine for everyone’. 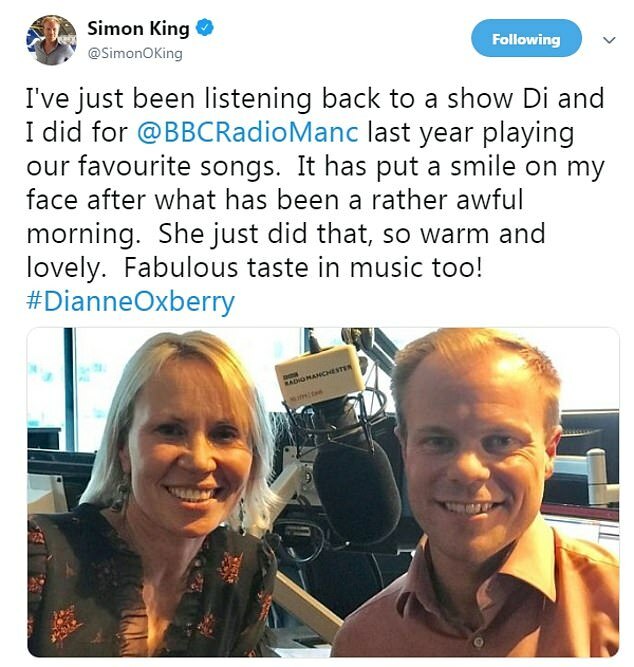 Ms Oxberry lived in Manchester with her husband Ian Hindle, a cameraman, and their two young children, and said today: ‘Dianne was an amazing wife and mother who embraced life to the full. The children and I will miss her more than anyone can imagine. Comedian Peter Kay once crawled on his hands and knees to get close to her as she gave a forecast on live TV. ‘She was an inspiration to all who knew and loved her but also to the people who watched and welcomed her into their homes each night as if she were part of their family too. ‘She will leave a massive void in our lives but because of the remarkable person she was she will forever live on in our hearts’. The couple met on the Saturday morning children’s television show, The 8:15 From Manchester, and moved to London when she joined Radio 1. Simon Mayo tweeted this morning: ‘Devastated to hear this news. She was a wonderful, joyous part of our breakfast team at Radio 1. I loved working with her. My condolences to her family’. BBC Breakfast star Dan Walker wrote: ‘Dear me. This is incredibly sad. What an amazing woman Dianne was and such a professional broadcaster. Devastating news for her family. Heartbreaking’. Woman’s Hour presenter Jane Garvey paid tribute to Oxberry on Twitter, writing: ‘Dianne was a formidable voice for women at the BBC, a fantastically supportive colleague. Thank you for speaking up #BBCWomen’. Professor Brian Cox said: ‘Very sad to hear that Dianne Oxberry has died. Anyone who has lived in the North West over the last 20 years or so will know what a superb broadcaster she was’. 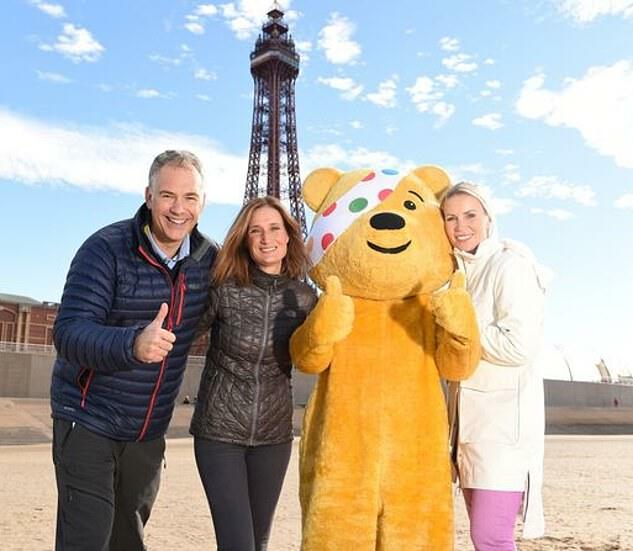 She recently took part in a 100-mile relay walk for Children In Need but fell ill in recent months. Her fellow BBC North West presenter Roger Johnson said: ‘We are heartbroken by Dianne’s death. It is almost impossible to comprehend. Dianne was North West Tonight. It’s hard to imagine the programme without her. 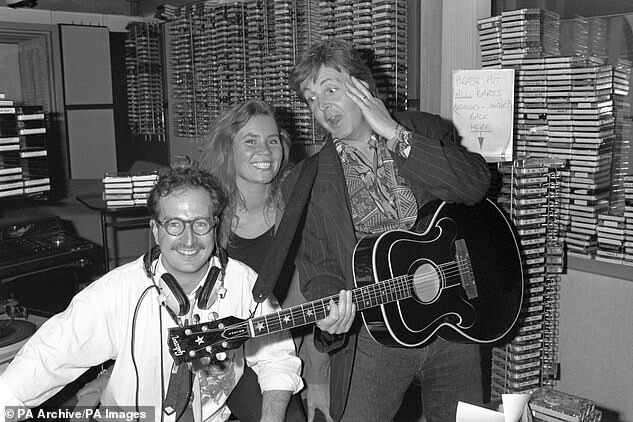 After returning to to the north-west in the 1990s she presented BBC Radio Manchester’s lunchtime show and later the station’s flagship breakfast show. Her passion was her family, but she was also a self-confessed ‘full-time pet-collector’, a lover of animals in particular horses. Annabel Tiffin, also a presenter North West Tonight, said: ‘This is an enormous shock for all of us. I can scarcely believe Dianne has died. She was loved by our viewers, by all of us at North West Tonight. My heart breaks for her family. Helen Thomas, director of BBC England, said Oxberry had a ‘remarkable career’ and added: ‘She was a brilliant weather presenter, showed she could do serious journalism with Inside Out and could do the lighter end of broadcasting brilliantly whenever it was needed.